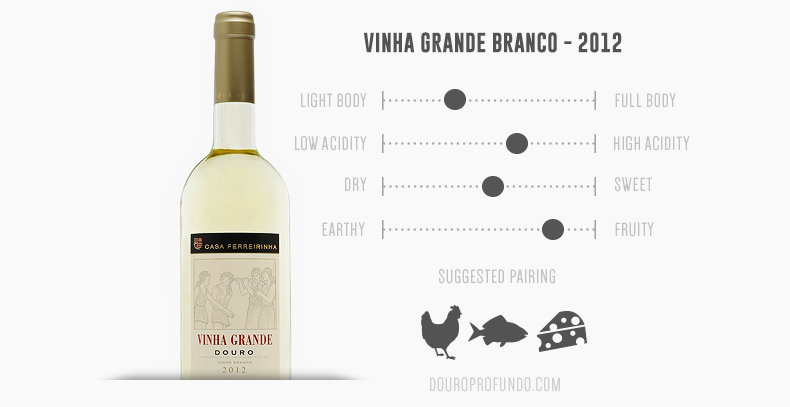 This Vinha Grande is made by Casa Ferreirinha, who are incredibly prestigious winemakers in the Douro. 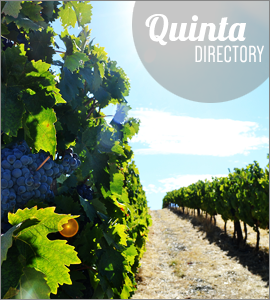 Now owned by the Sogrape conglomerate, the company was originally founded by Bernardo Ferreira, but its name comes from the nickname that his granddaughter Antónia Adelaide was known for. “Ferreirinha” was a true entrepreneur and visionary of her time, and played a great deal in modernizing winemaking and in fighting the phylloxera infestation in the Douro. It’s no surprise that it was this winemaker that, in 1952, made what is still considered one of the top still wines in the entire country: Barca Velha. This wine would prove to be a true revolution in the Douro, proving once and for all that the region could make still wines that were not only of top quality, but highly marketable. Barca Velha is still a rare treat – there have only been 16 vintages of this wine – but Casa Ferreirinha makes an assortment of wines, and this Vinha Grande comes in White, Red and Rosé. 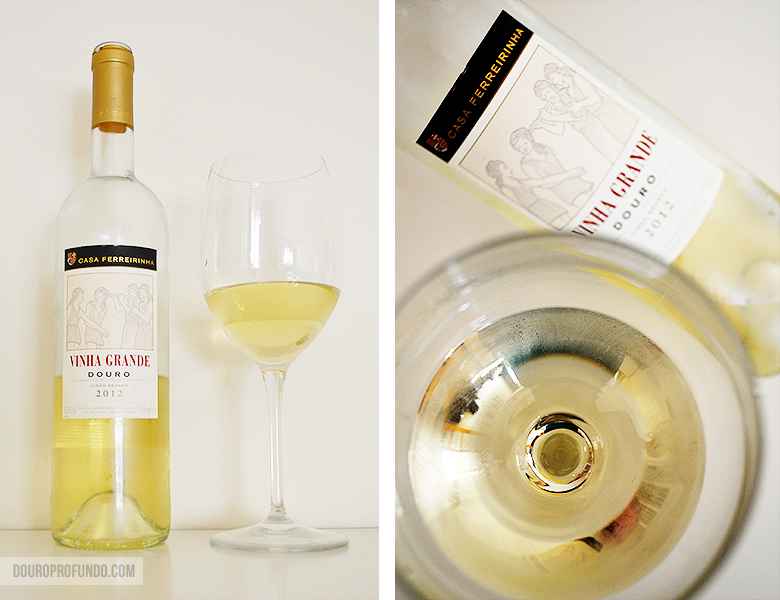 This time our choice fell on the white, and we were expecting great things from this wine. This wine did not fall short of its reputation. Right on the nose, we knew we were in for a treat. We were expecting something falling on the more sober side of things: maybe a subtle hint of tropical fruit, with a lot of creaminess from the wood and not too much acidity. But we got something completely different, and it blew us away. On the nose, the tropical fruit, especially pineapple, is absolutely striking. 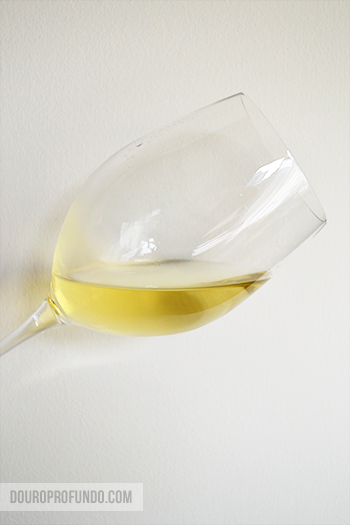 You can immediately detect a note of freshness, which comes from the wine’s vibrant acidity. Melon is also very present in the taste, with a finishing touch of cedar – something completely unexpected, as we were expecting oakier flavors. Everything comes together extremely well in a wine that is a joy to drink. The acidity takes nothing away from the fruit which in turn doesn’t take away from the wood. Even though it may not be to everyone’s taste, this wine’s fine balance of flavor was brought to absolute vibrant perfection. We got this wine because of Casa Ferreirinha’s great name and tradition, and we were expecting something more sober and traditional, but were completely blown away by this wine. This is a wine that could still be left in bottle for some time, and it would be interesting to compare how it would evolve. It definitely has room to change, but we’re not sure if it has much to improve since it is already stellar. As long as it keeps it vibrance and doesn’t loose its rich fruity taste, we would be very curious to see what this wine gives us in one or two years. Although it was one of the more expensive still wines we’ve had recently, it is definitely worth it; This is a wine we can’t wait to have again.